Most of us have challenges in our lives — some may be small and some may be fairly significant. These challenges can lead to a great deal of stress. Maybe it’s a relationship problem or maybe you’re struggling financially. Maybe you feel conflicted about your career or maybe you have self-esteem issues that get in the way of you succeeding. Maybe you feel stuck, depressed, anxious…..
You might have tried different therapeutic options — traditional therapy or alternative forms of change work. And maybe they’ve made a difference, but still the problem lingers on to some degree. 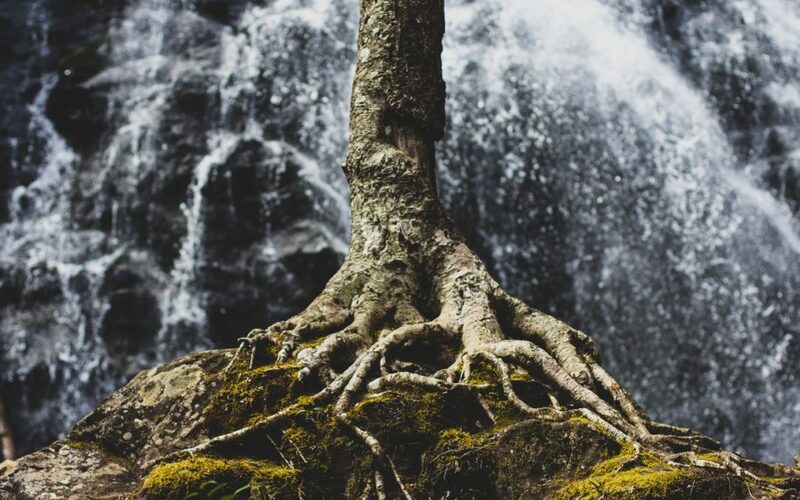 In each of those areas of your life that aren’t working, you might wish you could just get to the root of the problem, pull it out at its roots, rather than have it keep showing up and undermining your life? What Is the Root of the Problem, anyway? From the perspective of traditional therapy, the cause of deep-seated problems in our lives is what someone did to you or some circumstance that happened to you in childhood. The idea is that whatever happened wounded you, scarred you, or damaged you in some way. The NLP (Neuro Linguistic Programming) process, called TimeLine, comes from a very different perspective. From that perspective, once that event is over with, it doesn’t exist anymore. What does exist is how you keep the pain and distortions of that experience alive moment-by-moment, and that can be changed. This interpretation or meaning you gave to what happened is called a “limiting decision.” Limiting decisions are always some form of deciding that life doesn’t work and usually that there is something inherently wrong with you. Even though the limiting decision is negative and painful, it does give you some way to interpret what happened. It gives you a sense of stability. Without stability, there’s no way to function. For that reason, your unconscious mind is very invested in proving that decision is true. As a result, your unconscious mind starts acting like a background computer program, just looking for excuses to prove the limiting decision is true. This causes you to be attracted to, and attract to yourself, people and situations that prove the limiting decision is true, and filter out what doesn’t. None-the-less, limiting decisions are never actually true! This results in a distorted and limited experience of what reality is and causes you to bring into your life what you don’t want and what doesn’t work. This is how negative patterns get formed, such as getting into dysfunctional relationships, failing in business, or undermining whatever is really important to you. The limiting decisions you made are the root of whatever problems or challenges you are experiencing in your life. Limiting Decisions Can Be Cleared! It’s important to understand that the problem is not what someone did to you, the problem is the meaning you gave to what happened. That meaning you gave it was based on a limited and unevolved interpretation of how life works, made at a young age. NLP is the study of the language of the mind — how we form our subjective experience and how that can be changed. The NLP TimeLine process is an NLP process and is set up in a very particular way, according to how the brain works, in order to facilitate change. The Life Is Designed to Work thought system (which I developed over the past 23 years), in tandem with this NLP technology, is integral in allowing you to shift from the limited and unevolved interpretation you originally made into a more expanded, evolved understanding in which life does work. When that happens, the limiting decision clears and is no longer distorting your experience of reality. The purpose of NLP TimeLine sessions is to get to what the limiting decisions are that are holding in place whatever isn’t working in your life and release them. A limiting decision is usually cleared in each session. Author’s Bio: Jane Ilene Cohen, Ph.D. is an Intuitive & Transformational NLP Counselor, and an NLP & TimeLine Master Practitioner and Hypnotherapist, with a private counseling practice in San Diego North County (Encinitas). She also works with out-of-town clients (using Zoom or Skype video). Dr. Cohen works with adults, children, couples, families and other relationships, and facilitates groups and workshops. She is also the Founder of the “Life is Designed to Work” thought system.